In a world that is like no other, a new member, named Thomas, joins the group of boys. He comes through the box, only remembering his name. As he discovers more details about his new home, he becomes more curious. He finds out that his new residence, The Glade, is surrounded by a huge maze. A new boy comes in through the box every month and is assigned a job related to his talent. 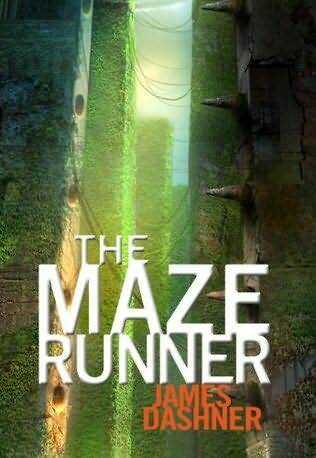 Thomas learns about some boys called Runners who run in the maze each day and look for a way out. He immediately wants to be a Runner, however he is slightly frightened after learning about the terrible beasts called the Grievers that roam through the Maze each night, stinging anyone they see. If someone is stung, they go through the Changing and gain memories from their past life. Later, a girl comes through the box. She tells them that she has triggered the ending, not knowing what it means. As a result, the Gladers struggle to survive as their supplies are cut off and the Grievers begin to come out of the maze. Thomas knows that he must be stung in order to find a way out. After he recovers, Thomas leads the way through the maze. Only twenty Gladers are left after an astonishing battle with the Grievers. They find an exit and discover that the world outside the maze is not as amazing as they thought. As I read this book, I noticed the special characteristics that it had. The book did not have extremely confusing vocabulary, so it was very easy to understand. However, it was sometimes too easy to understand and it did not paint the most vivid picture in my mind. The book also had some unique vocabulary and slang that is explained by the characters. At some points the story also dragged on a bit too much. I could tell that the author really wanted to stretch out the parts before the main points in order to make you want to read on, but sometimes it was just too long. Although this book is as long as most other popular books of this time, I believe it took longer to read because it was very intense. There are many emotional and extreme moments in the story. Overall, I would give this book eight out of ten stars and I would recommend it to older middle school students and high school students. 1.What is the only thing that the main character can remember out of his past life? 2.What is the area that the boys live in called? 3.What is the name of the boy who is in charge of Thomas’s first day sleeping arrangements? 4. After seeing the maze, what does Thomas tell Chuck he wants to be? 5. Who are the two runners that do not make it back before sundown? 6. When in the maze, what word does Thomas see written on the beetle blade? 7. What does the Council decide as Thomas’s punishment and reward for staying in the Maze overnight? 8. What does Thomas promise Chuck? 9. After his first day of training, what is unusual to Thomas the next day? 10. What does Teresa have written on her arm? 11. What does Alby decide to do on the that the maze does not close? 12. What is the first letter of the “Maze Code” that Thomas figures out? 13. How long did the Changing take for Thomas? 14. According to Thomas, what is the only way to escape the maze? 15. What is the last variable?